Welcome to a fun newsletter subscriber only giveaway for the holidays. This will be seen by our newsletter subscribers ONLY so you have an awesome chance to win. 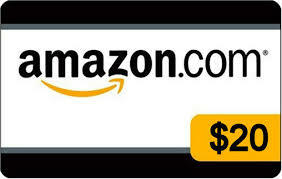 Enter to win a $20 Amazon Gift Code below. Giveaway ends November 29, 2013 at 11:59 pm EST. Open worldwide. Good luck! Be sure to check out what we’ve added to our holiday gift guide and the giveaways going on now where you can win $1,000’s in prizes!